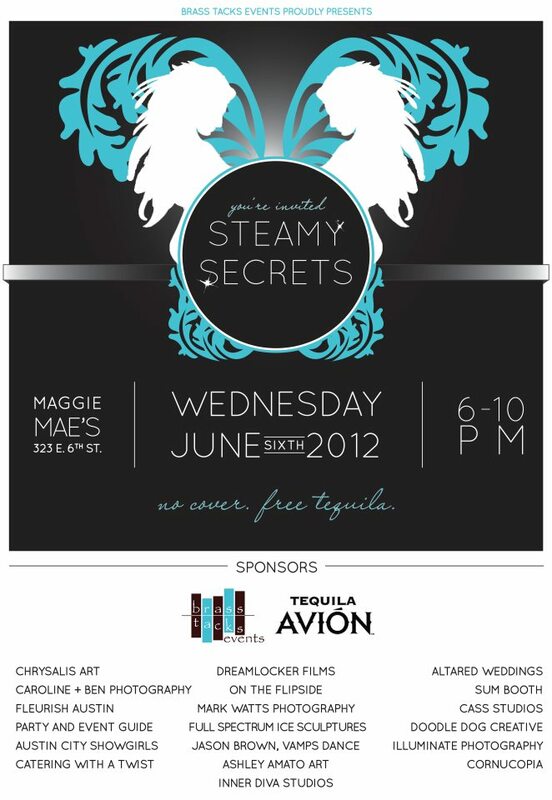 The Steamy Secrets event by Brass Tacks Events at Maggie Mae’s was AWESOME! Check out some of the seductive photos by Caroline + Ben Photography on the Brass Tacks Facebook Page. This entry was posted in Uncategorized and tagged Austin, caroline plus ben, Event, ises, maggie mae's, photography, secret, steamy, Wedding. Bookmark the permalink.